GRAND MASTER CHOA KOK SUI was a chemical engineer, successful businessman, philanthropist, and internationally renowned author and a respected Spiritual Teacher. Of Chinese descent, he grew up in the Philippines and offered his life to research and to explaining the science underlying the world’s healing techniques and religious and spiritual philosophies. He has become the foremost expert in the art and science of energy – Pranic Healing. He is the founder of MCKS Pranic Healing and Arhatic Yoga – the Yoga of Synthesis. 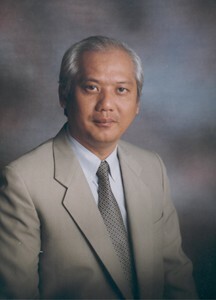 GRAND MASTER CHOA KOK SUI created and led The Institute for Inner Studies Inc. and The World Pranic Healing Foundation in Manila – the Mother Organization of MCKS Pranic Healing globally. He also created the MCKS CHARITABLE FOUNDATION where he worked and gave selflessly to help the lots of the less fortunates in the world. The MCKS CHARITABLE FOUNDATION provides worldwide humanitarian support through feeding the hungry programs, micro financing, educational programs, medical programs, legal assistance and more. He taught all over the globe, and published his findings in numerous books to give people practical, easy to learn techniques they can use to improve their physical, emotional, mental, and spiritual health, and thus to raise global consciousness.